The FrSky Smart Port RPM and Temperature Sensor has been designed to work with FrSky Smart Port systems, it can measure the RPM of brushless motors from 1,000~30,000rpm and temperatures of -20 to 250 degrees celsius. Installing is easy, just connect the sensor to any 2 wires on the brushless motor by the supplied JST cable and then plug the smart port lead into the smart port enabled receiver. This measurement gives you the freedom to fine tune your prop/motor/battery combinations without any guesswork. Two temperature sensors are also supplied which are plugged to the PCB so you can use a single one or both. 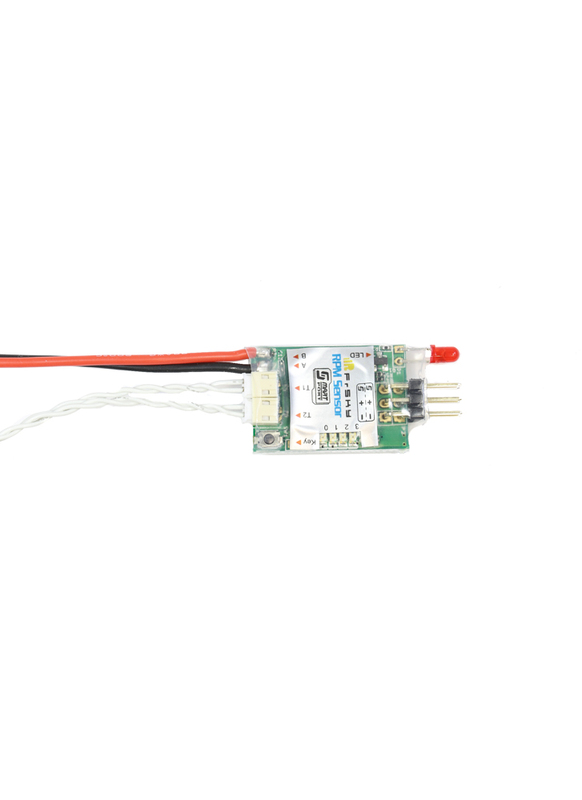 Attach the temperature sensor to your ESC or battery to enjoy the full benefit and peace of mind from this fantastic product. Set up is very straightforward using the push button and LED status indicator.